The story of ‘The Forty-Niners’. The New Zealand Cricket Team Tour of England in 1949. 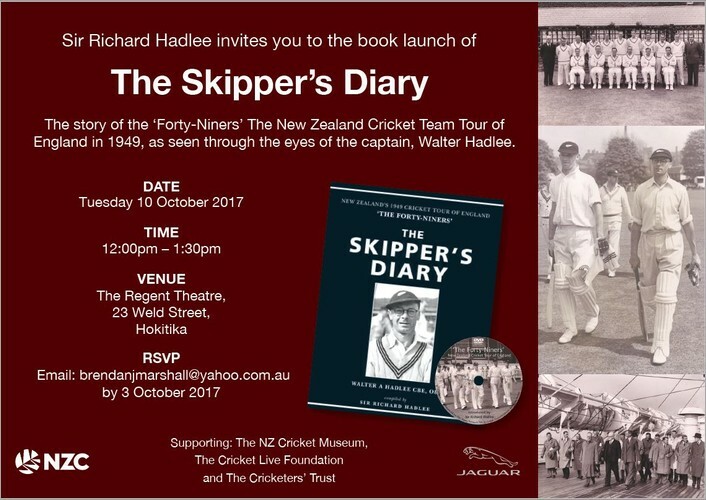 Sir Richard Hadlee’s father, Walter, captained the New Zealand Cricket Team on the 1949 Tour of England. This was the New Zealand team that prompted the rest of the cricketing world to sit up and take notice; enjoying great success, and promoting several players to world-class status. A campaign that began with a five-week-long sea voyage and lasted a total of eight months, it was played out in war-torn Britain at a time when rationing was still in effect and buildings still lay in ruins, and is brought to life once more in this compelling story, based on the meticulous day-by-day diary entries Walter maintained throughout the trip. The tour synopsis? It makes for compelling reading. Walter’s side played 32 first-class games, winning 13, drawing 18 and losing just once. Eight of the touring party – Martin Donnelly, Bert Sutcliffe, Merv Wallace, Verdun Scott, Walter, John Reid, Geoff Rabone and Brun Smith, exceeded 1000 runs in first-class matches, at that stage a record for touring teams in England. Sutcliffe’s aggregate of 2627 was second only to Don Bradman’s 1930 record of 2960. On 26 occasions, New Zealand scored more than 300 in an innings; in ten of those, they exceeded 400. Since 2014, Sir Richard has worked on developing his father’s journal into a publishable format, embracing the many considered and insightful observations detailed by the man best remembered as the grandfather of New Zealand cricket. 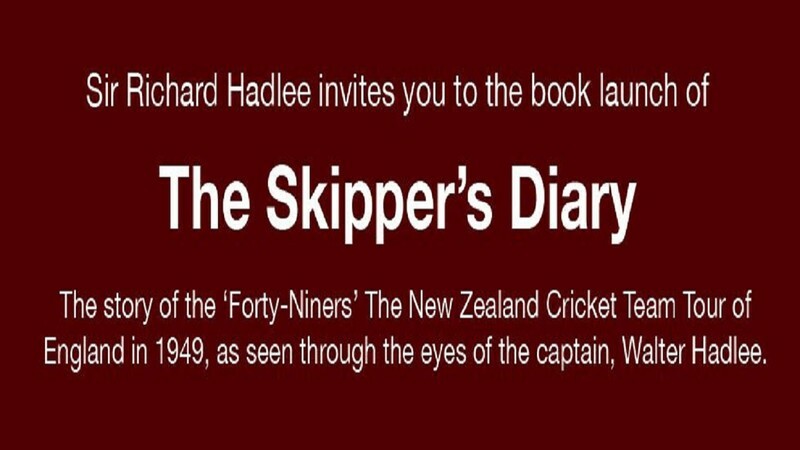 The Skipper’s Diary brings to life again, not just the rich tapestry of post-war cricket in England, but also the adventure and experiences of a journey that included a match in occupied Germany, and a 36-day return voyage - taking the squad through the Panama Canal, into the Pacific Ocean and home via Pitcairn Island. 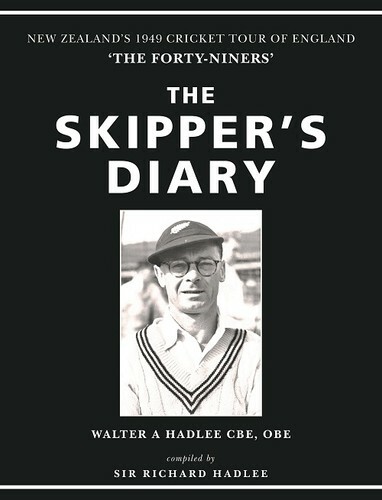 In The Skipper’s Diary, read about Walter’s thoughts on team selection, from the controversy at home over the omission of Otago’s George Mills, to the early tour concerns over the form of Bert Sutcliffe, and the decision to replace the well-performed Brun Smith with youngster John Reid for the third Test at Old Trafford. Enjoy Walter’s accounts of meeting with royalty, the speeches he wrote for various VIP functions, and his post-tour reflections on each of the squad members. A man of detail, Walter also offers a sample of costs and expenditure of the time, and reveals the tour contract – signed by all team members before departure.